We are now witnessing the beginning of the fourth industrial revolution, which continues to change the way we work, live and do business. Technology is now becoming embedded in every aspect of society today and user demand is more intense than ever before. We now demand instant access to information, data and applications 24.7.365, no matter what device we are using or where we are located on the planet. Enterprises today MUST deliver Always-On services, or services that are always available, across all their environments. Veeam pioneered the market of Availability, and I’m proud to say that we are continuing to make big strides forward in our vision of enabling a seamless Digital Life experience for everyone. 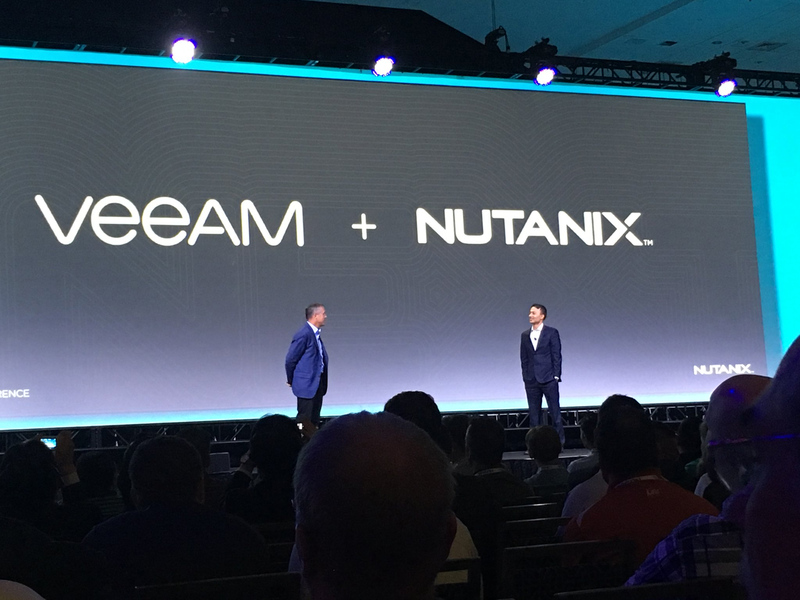 Yesterday, at the Nutanix NEXT Conference in Washington, D.C., Veeam announced a new partnership with Nutanix, the leader in enterprise cloud computing and the hyper-converged infrastructure (HCI). As you may know, HCI has become one of the fastest growing segments of the enterprise infrastructure market. It is enabling new levels of agility and operational efficiencies today within key parts of the data center. This is pivotal for companies like Veeam, which are embracing multi-cloud environments. And now, Veeam is the Premier Availability solution provider for Nutanix virtualized environments. In addition, Veeam is adding support for Nutanix Acropolis Hypervisor (AHV) in Veeam Availability Suite. This support will now allow both Nutanix and Veeam customers to benefit from its enterprise-class Availability solution. As I presented at the recent Nutanix conference, this partnership brings together Nutanix, the leader in enterprise cloud computing, with Veeam, the leader in Availability solutions — both focused on delivering multi-cloud solutions to the enterprise. At Veeam, we are eager to ensure Always-On Availability in multi-cloud and hybrid cloud environments for our customers. We are excited to be the premier Availability solution for supported Nutanix virtualized environments. To best summarize this new partnership, we are happy to announce that two products, both of which JUST WORK, are finally working together! For more information on this partnership, visit our newsroom and be on the lookout for more details in the coming weeks.